FoodWIse is a UW-Extension nutrition education program that helps limited resource families and individuals choose healthful diets, purchase and prepare healthful food and handle it safely, and become more food secure by spending their food dollars wisely. 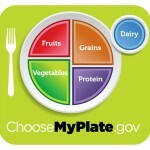 FoodWIse focuses on nutrition education based on the Dietary Guidelines for Americans, MyPyramid and Choose My Plate.gov. FoodWIse is a major educational program within UW-Extension. The Dane County UW-Extension FoodWIse program responds to community needs with research-based education and partnerships that support Wisconsin families and communities. The goal of Supplemental Nutrition Assistance Program (SNAP) is to provide educational programs that increase, within a limited budget, the likelihood of all FoodShare recipients making healthy food choices and choosing active lifestyles consistent with the most recent advice reflected in the Dietary Guidelines for Americans and the Food Guide Pyramid.